Nendoroid Erica Hartmann is Available for Pre-order; Konpaku Youmo Gets a Re-release! 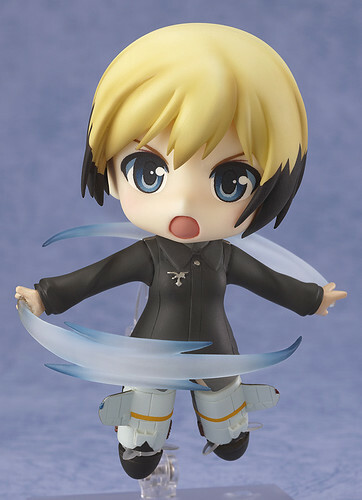 As promised by Mikatan yesterday, Nendoroid Erica Hartmann (Strike Witches) is available for pre-order starting today. The undefeatable ace of aerial combat! From the popular anime series and film, ‘Strike Witches’ comes a Nendoroid of Erica Hartmann – the sixth Nendoroid from the series! She comes complete with her MK42 machine gun to prove she is the queen of shooting things out of the sky, along with effect parts to recreate her special ”Sturm’ technique. A Striker Unit is also included along with her animal ears and tail, allowing you to pose her soaring through the skies. The stand features the logo of the 501st Joint Fighter Wing and is fitted with joints allowing you to easily pose her in mid-air combat scenes! She also comes with a lovely winking expression which can be used together with the included military cap to display her receiving a decoration for her services – one of many poses that fans are sure to enjoy! She is priced at 4000 Yen and scheduled for December 2012 release. The ghostly gardener of Hakugyokurou. 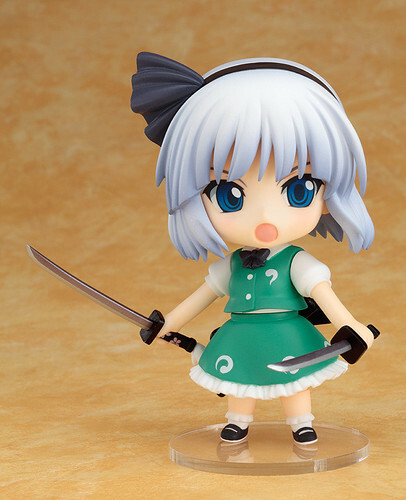 From Shanghai Alice’s popular game series, the “Touhou Project” comes a Nendoroid of Youmu Konpaku – the ghostly gardener who serves Yuyuko Saigyouji. As she also serves as Yuyuko’s guardian and sword instructor, she also includes both of her swords: the long bladed Roukanken and the shorter Hakurouken, as well as a ghost to float around her. She also includes a total of three expressions, including her standard face, an angry face and a face with closed eyes. A large variety of parts allowing you to recreate all sorts of situations! The pricing has not changed, though her re-release schedule is set for December 2012 now. This entry was posted in News and tagged erica hartmann, konpaku youmu, nendoroid, strike witches, touhou project. i really want a Touhou Nendoroid. Looks like Youmu is the first one.And Erica Hartmann just looks so good, it one that when I first saw her I knew I really wanted her. I love the dark brown hair tips looks so good with her blone hair.